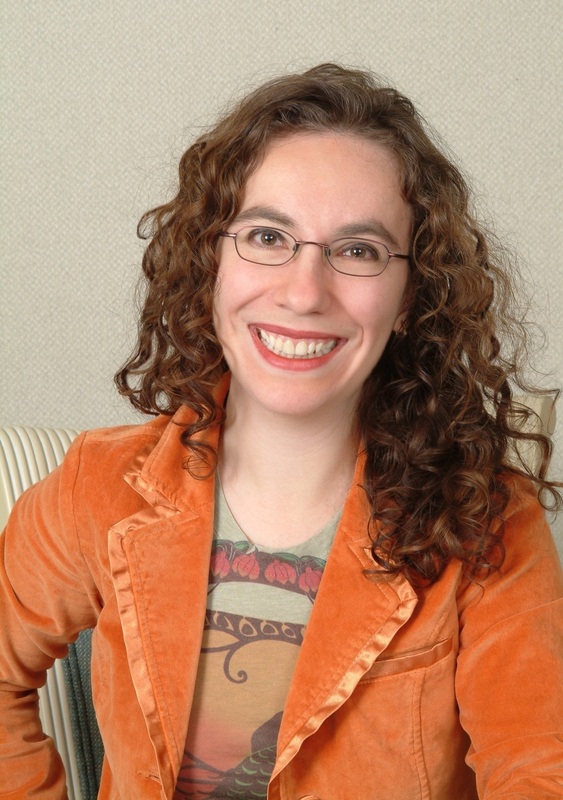 Profile: Naomi Novik, Author Of 'Uprooted' And The 'Temeraire' Series Before her first book, Naomi Novik was a programmer who wrote Napoleonic-era fan fiction on the side. Then she had an idea: "What could make the Napoleonic wars more exciting? Dragons!" 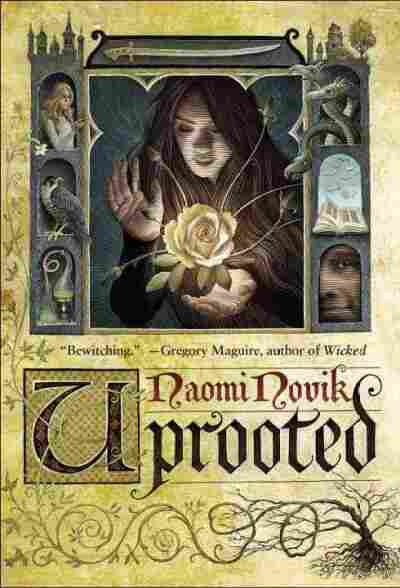 Naomi Novik says Uprooted was inspired by her family's history on Poland. Author Naomi Novik is a world builder. She writes books about dragons, witches and dark woods — and she's also designed computer games. "I'm an engineer and a writer," she says, "and I find that those two things are not uncomplimentary." Novik's career as a writer and programmer started in the same place — her sophomore college dorm. "I ended up rooming in a dorm that was basically a solid wall of female scientists, and every Wednesday we would all watch Star Trek: The Next Generation." It was the early days of the Internet, and Novik found her way to a discussion list for Trekkers. Engaging with fan communities online got her interested in two things: coding and fan fiction. She completed her master's degree in computer science, but continued to write fan fiction on the side. Almost a decade after she first went online, she says she was working as a programmer for a computer game "and something about that whole process of building the structure of that game turned into a real kind of light-bulb moment for me as a writer." At the time, her fan fiction at was inspired by swashbuckling adventure novels set in the Napoleonic era. But something started happening to her stories — they were getting longer and more complex. "Then all of a sudden I sort of started to feel that I was constrained by the characters, as opposed to enjoying them," she says. "And that remains for me to this day the line ... where it's like: OK, you're not writing fan fiction anymore." She also had an idea she wanted to run with: "What could make the Napoleonic wars more exciting? Dragons!" And one dragon in particular: Temeraire. 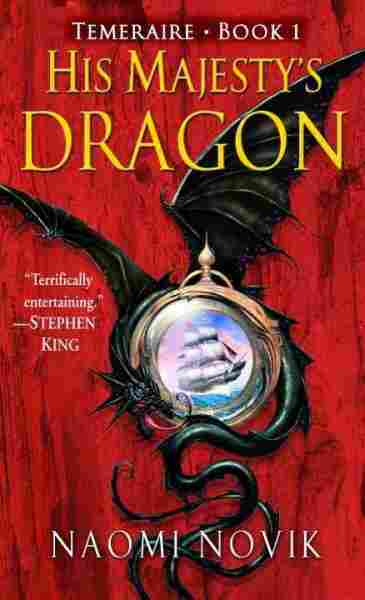 He's central in her 9-book "Temeraire" series, which opens with the dragon becoming the responsibility of Will Laurence, a naval captain fighting for the British against Napoleon. Laurence is chivalrous with a keen sense of duty, but he embraces the 19th-century conventions that Novik paints in faithful detail — even some that are distasteful to 21st-century readers, like class hierarchies and the roles of women. Temeraire, on the other hand, is newly hatched; he provides a more critical, modern voice. "Temeraire comes out talking, thinking for himself," Novik says, "and immediately starts overturning all of Laurence's assumptions because he doesn't take things for granted." The last installment in the "Temeraire" series is due out this summer. According to Novik, combining fantasy and historical fiction allows you to have a conversation with the past that you might not get with a straightforward historical novel. "You can actually muck with history and think about: What if? Why not?" she says. "What if there were dragons in the Incan empire that allowed them to resist colonization? What if there were a massive dragon empire in the middle of the interior of southern Africa that decided to take objection to the slave trade?" Novik's attraction to characters who provide an outsider's perspective comes from her own experience. Her parents are immigrants who came to the U.S. from Eastern Europe before she was born. Her grandmother was executed for her role in the Polish resistance during World War II, and her mother defected from Communist Poland and was separated from her family for many years. Uprooted is the book she wrote from those fragments of her family history, and it's a finalist for one of the highest prizes in American science fiction and fantasy, the Nebula Award. Set in the Poland of her mother's bedtime stories, it follows a young witch as she unravels the mystery that lies in a dark wood at the edge of her village. "It's a place that should be nurturing, that should be positive and beautiful and have wild magic to it," Novik says. "And it has all been twisted inward by rage, by hatred and by the severing of connections." These days, Novik's coding work is mostly volunteer. She likes the idea of designing games again, but she says she's happy where she is. "As a novelist, you have just unlimited budget, total creative control. You really get to have your cake — all the cake — and then you can have a second cake if you want it, too."